Bob was certified in 2007 and then became an examiner in 2008. 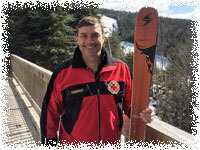 Bob is also a certified member of National Ski Patrol, #766, as well as an OEC and S&T instructor. He has been a professional patroller for over 20 yrs and continues to patrol at Loon as the Ski Patrol Training Supervisor. 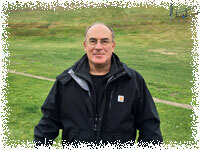 Ed was certified in 2006 and became an examiner in 2008. He has been a professional patroller since 1988 and has in total over 36 years of patrolling experience. He is a nationally registered EMT. Ed is currently in the process of becoming a certified member of the National Ski Patrol and currently patrols at Loon Mtn. Marc has been patrolling since 1977. He earned his PSPA certification in 1983 while patrolling at Waterville Valley. He has been an examiner since 1993. He currently patrols at Loon Mt. and is the patrol’s training coordinator. 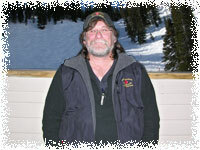 He is also a certified member of NSPS and is a member of the Eastern Division Ski and Toboggan staff. 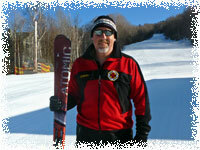 Greg has been a pro patroller at Loon Mountain since 1988 and was PSPA cirtified in 1997. 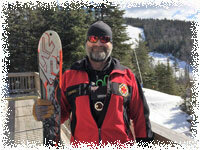 Greg is both an OEC and Toboggan instructor and is active with the Loon training program. Greg is also National Certified patroller #571. Greg was awarded a yellow star from the National Ski Patrol. Ben is the Ski Patrol Director at Sugarloaf. Betsey is the Ski Patrol Director at Nashoba Valley. Joe has been patrolling since 1979 and became PSPA Certified in 2008. He served as the Assistant Patrol Director for 10 years at Wachusett Mountain and has been the Patrol Director since 2008. Joe is also the Alternate Regional Director in the NSP EMARI region. He is National Certified (680), National Appointment (10018), NSP Certified examiner, a Senior Trainer Evaluator, Toboggan instructor trainer and OEC instructor trainer. Carl was originally certified in 1984. At the time he was patrolling at Sugarbush in Vermont. Carl re-certified in 2004 and has been an examiner since 2005. Carl has been an EMT for over 10 years, is the New Hampshire region Outdoor Emergency Care Administrator, National Ski Patrol Certified (#701) and National Appointment # 11618. In New Hampshire he has patrolled at Ragged Mt (APD for 7 years) and now currently patrols at Mt Sunapee. Dave was certified in 1999 and became an Examiner in 2000. 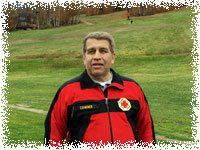 He has been a professional patroller since 1993 and is a past Patrol Director at Loon Mountain. 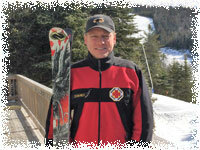 Dave has received two purple merit stars from the National Ski Patrol and is National Certified #705. Dave continues to patrol at Loon Mountain. Ryan is a paramedic and pro patroller from Loon Mountain. He earned his PSPA Certification in 2014 and Examiner status in 2016. 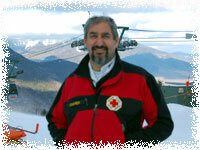 Andy Novick has patrolled at Loon Mountain since 1988 and is a PSPA Certified Patroller and Examiner. Andy serves on the Board of Directors of New England Disabled Sports, is an Eagle Scout, a National Camp School Certified Aquatics Director, a Red Cross Certified Water Safety Instructor, an American Canoe Association Certified Whitewater Kayak Instructor and a Massachusetts licensed EMT. Andy served as the AMC Whitewater Kayak Instruction Chair, for 12 years, as President of the Society of Professional Organized Recreational Tour Staff, for 10 years and held various positions at Cachalot Scout Reservation. Andy has been a trial attorney for 30 years and holds the American Jurisprudence Award in Contract Law. He also taught as an Honors Instructor at California Western School of Law and was the Lead Articles Editor of the International Law Journal. He is the President and Chief Litigator of Novick Law Offices Incorporated; tel. 508-997-4571.